The quality of your product is paramount, but the quality of your customer service isn't far behind. Increasingly consumers are expecting excellent levels of customer service, and if they don't get it from your business, they'll look elsewhere. In 2015, over one-quarter of consumers (28%) expressed a preference for the highest levels of customer service even if it cost them more*. But what makes excellent customer service? Well, there are lots of different elements - from the provision of clear information to good communication to quick resolution of customers' problems. One aspect that's got a growing amount of attention in recent years, though, is the personalisation of customer service. A survey by US customer experience company Genesys found that 40% of consumers most wanted "better human service" from the companies they do business with. People want to feel that they're doing business with other people, not with a computer. 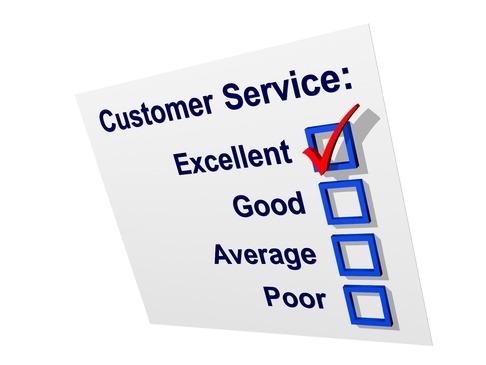 So how do you make your customer service more personal? Encourage your staff to always use names, both theirs and the customer's, to make the interaction more personal. Give your business a human face - literally - by using photos of your staff whenever you can, from the 'meet the team' part of your website to email signatures. Make sure they're geniune photos though - a cheesy stock isn't going to cut the mustard. It may not be practical for the bigger companies, but small firms who can use social media to build stronger personal relationships with customers. If a customer follows you on Twitter, follow them back. If they tweet something relevant to your brand, interact. If anything's bound to frustrate a customer, it's having to repeat themselves to different representatives of the same firm. Always take thorough notes of a conversation - particularly a complaint - so that should they contact you again, you can quickly look through their notes. When you're buying in person, there are few things more annoying than an over-zealous shop assistant who pounces on you the minute you walk in the store and then proceeds to hover. The online equivalent is being bombarded with unwanted promotional tweets and newsletters. Show your customers that you want to provide geninue help rather than always doing the hard sell by making it easy for them to opt out.